Do not take chances with confidential client, employee and business information. Our confidential document shredding service offers a cost-effective and confidential alternative to office shredding. We take care of everything for you! 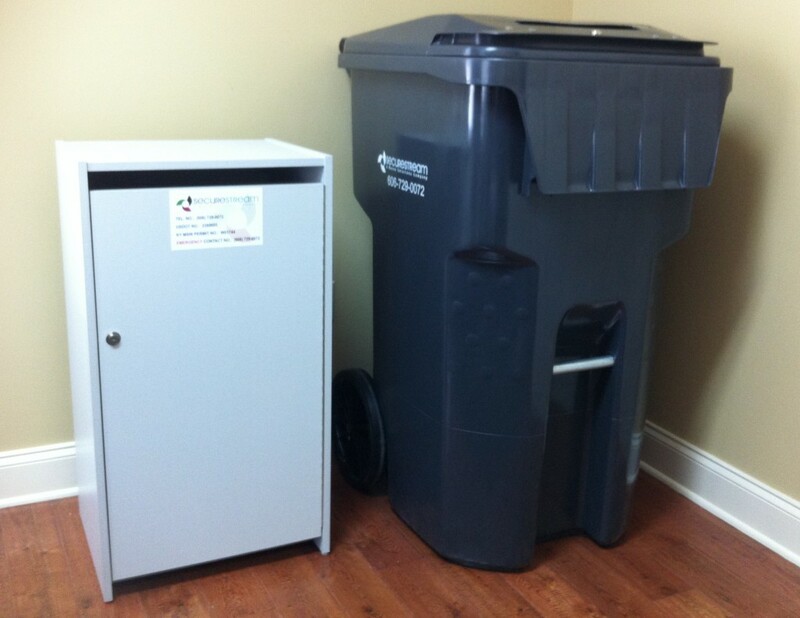 We even supply the bins free of charge for as long as you utilize our shredding service. Allow our professional staff to tailor a shredding plan to meet your individual needs. Whether it is a scheduled pickup or a one-time purge service, we will work with you to develop a plan that satisfies you. We provide the appropriate number of secure collection containers to be placed, free of charge, at your business for convenient employee use. Without hesitation or interruption, your staff simply deposits anything that requires secure destruction into the nearest security container. On a predetermined schedule, our friendly service personnel securely remove the contents of the containers. All of our drivers are highly trained and prescreened to assure your service is quick, clean, and secure. We securely destroy the materials onsite in our mobile shredding unit or offsite depending on your service needs. Following destruction, we will provide you with a Certificate of Destruction to certify the time and date your materials were destroyed. The shredded paper is then delivered to a local recycle center to be recycled. Onsite shredding is only available in select areas. However, we provide offsite shredding in most areas of Kentucky. Ask us about off-site shredding services or how you can drop off paper to be shredded at our local facility for a more economical alternative.